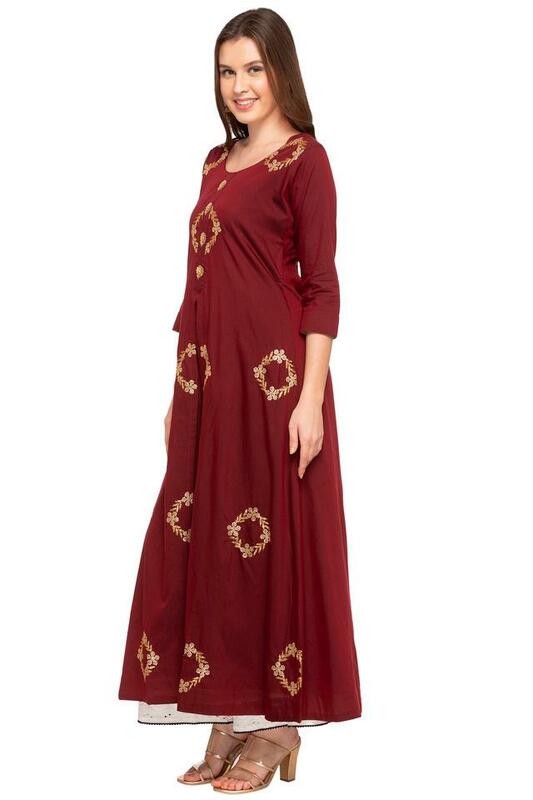 Flaunt the right amount of elegance, style and class with this anarkali kurta from Soch. Crafted from good quality, this kurta can be comfortably worn throughout the day. In addition, it features an embellished pattern that renders it sophisticated. 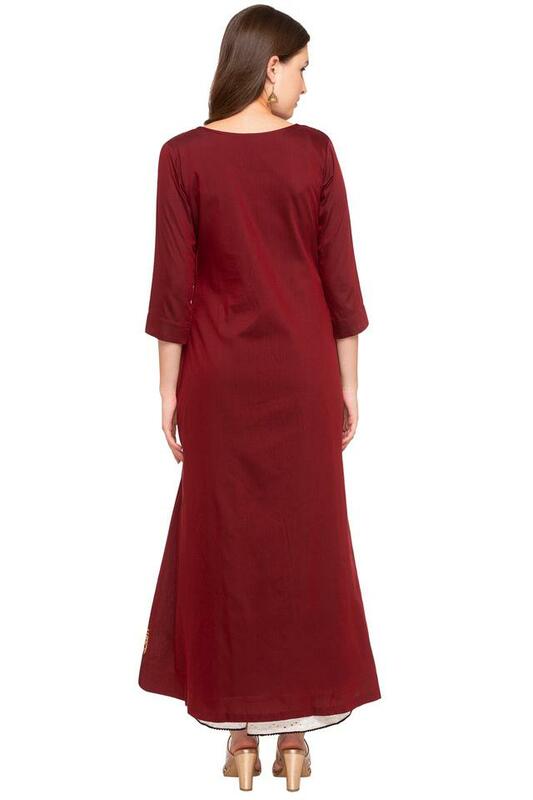 It also flaunts a round neck and three quarter sleeves that add to the design. 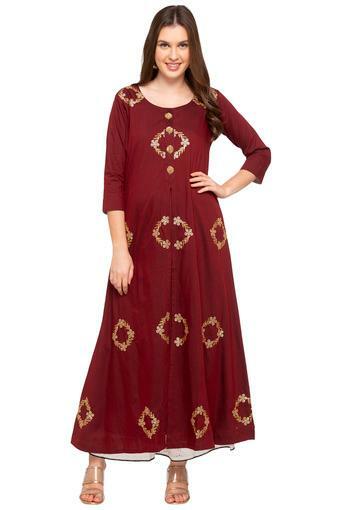 Be the showstopper of the event by wearing this remarkably designed anarkali kurta. Dress it up by pairing it with a leggings and heels.